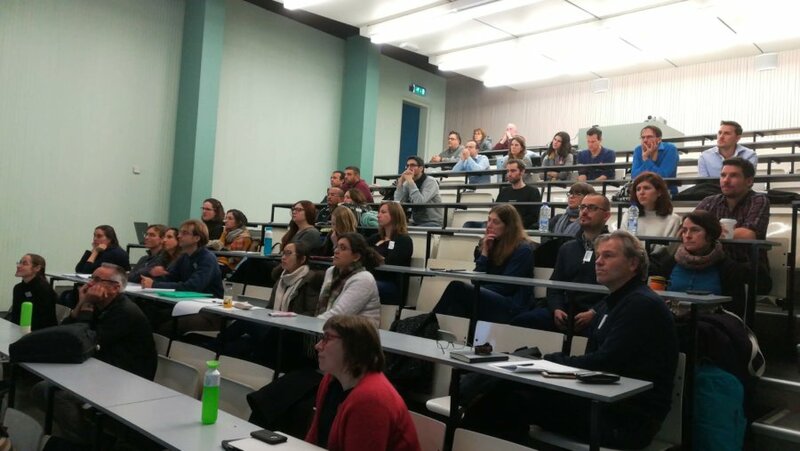 On December 15th, the BMS-ANed organised its annual winter meeting in Leiden. 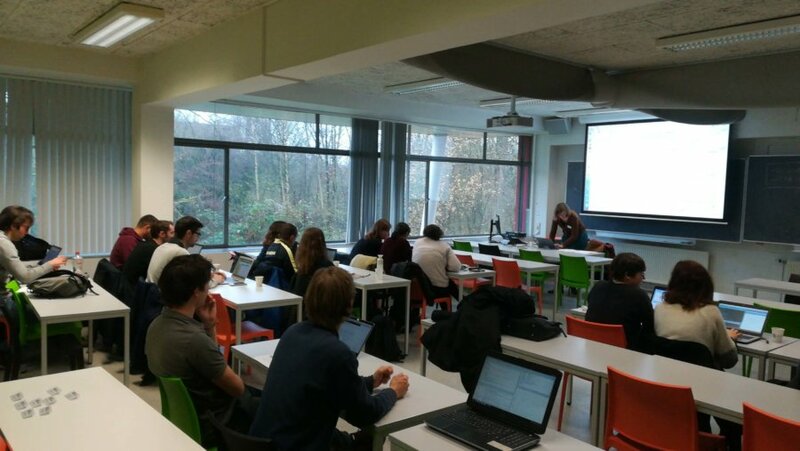 The event, which was themed ‘Statistical Analysis of Medical Imaging’, was a succes. The day kicked off with a short course on the analysis of medical images, organised and given by Joke Durnez (Stanford). The course provided a thorough introduction into the world of medical imaging through a hands-on practical in R using some example data sets. The course is available online and may be found here. The meeting itself consisted of four talks. 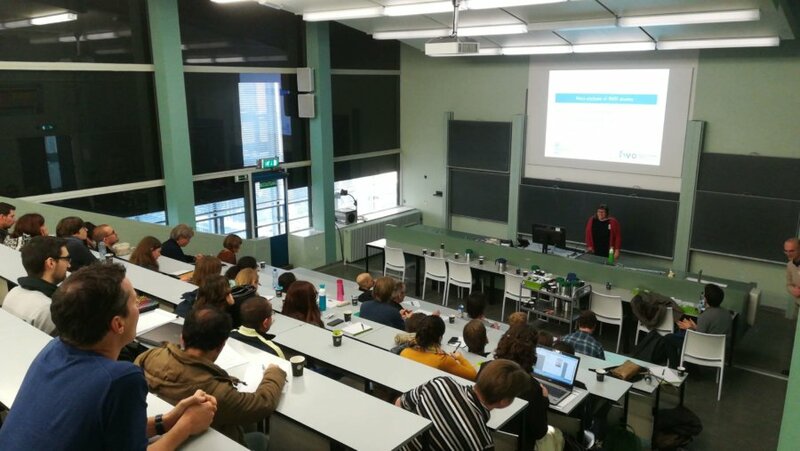 The first speaker of the day was Marie-Colette van Lieshout (CWI, Twente) with a talk titles ‘Stochastic geometric models for image analysis’. She gave us a thorough introduction and overview into the use of stochastic models in imaging. The presentation slide of her talk have been uploaded here. The next talk was by Joke Durnez, who gave the short course in the morning. Her talk was focused on ‘Power and reproducibility in neuroimaging’. The first part of her talk concerned itself with outlining the various problems from which statistical techniques in neuroimaging suffer. The second part focused on some solutions to these issues. 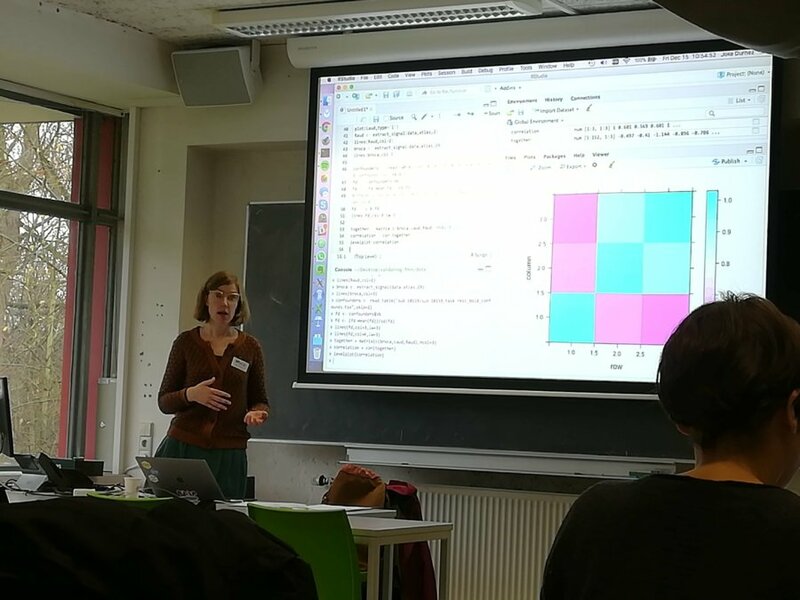 After a short break we continued the day with Beatrijs Moerkerke’s (Ghent) talk titled ‘Meta-analyses of fMRI studies’, where she introduced current practices in meta-analyses for fMRI studies, with a focus on publication bias. Here presentation slides may be found here. 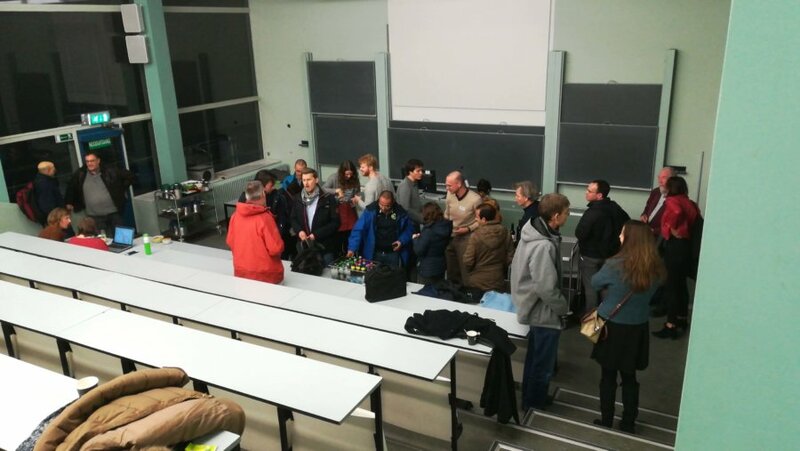 Social drinks are an integral part of the BMS-ANed meetings, so after the talks we discussed the topics further over a drink. All in all it was a successful and insightful meeting with an important pleasant and social aspect.